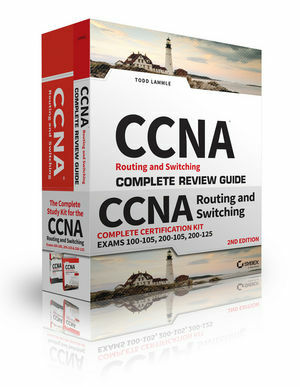 The CCNA Routing and Switching Complete Review Guide offers clear, concise review for Exams 100-105, 200-105, and 200-125. Written by best-selling certification author and Cisco guru Todd Lammle, this guide is your ideal resource for quick review and reinforcement of key topic areas. This second edition has been updated to align with the latest versions of the exams, and works alongside the Sybex CCNA Routing and Switching Complete Study Guide, 2nd Edition. Coverage includes LAN switching technologies, IP routing, IP services, IPv4 and IPv6 addressing, network device security, WAN technologies, and troubleshooting—providing 100% coverage of all objectives for the CCNA ICND1, ICND2, and Composite exams. The Sybex online learning environment gives you access to additional study tools, including practice exams and flashcards to give you additional review before exam day. Each chapter focuses on a specific exam domain, so you can read from beginning to end or just skip what you know and get right to the information you need. This Review Guide is designed to work hand-in-hand with any learning tool, or use it as a stand-alone review to gauge your level of understanding. 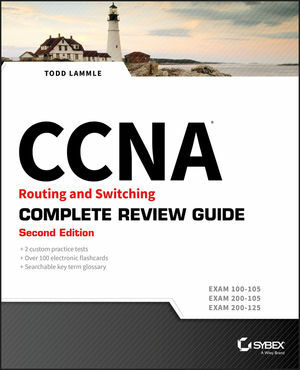 The CCNA Routing and Switching Complete Review Guide, 2nd Edition gives you the confidence you need to succeed on exam day.